It's been observed countless times that the strongest kind of magic is magic in the spectator's hands, But even here, conviction is paramount. For example, a king changes to an ace under the spectator's hand. If the spectator can dismiss it by thinking, "It must have already been an ace before I put my hand on it," the impact will be negligible. Only if he truly believes in his gut that it was still a king when he put his hand on it will the trick be memorable. 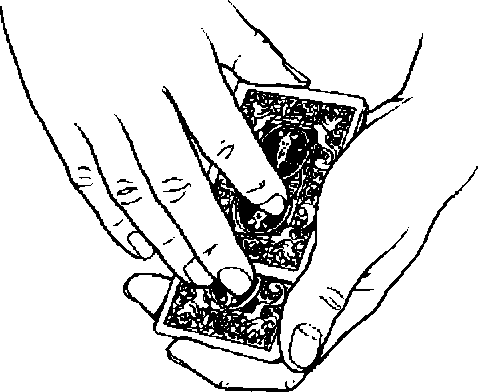 In this effect, if the spectator is convinced in her heart and soul that all the cards were face down when she put her hand on them, it will be a miracle when she finds that half of them are now face up. That's why the trick is a miracle.